If such liability was also not reported in FORM GSTR-1 of the month/quarter, then such liability may be declared in the subsequent month’s/quarter’s FORM GSTR-1 in which payment was made. (Ex: inter-State supply as intra-State supply) Where such liability was also wrongly reported in FORM GSTR-1 of the month/quarter, then such taxpayers will have to file for amendments by filling Table 9 of the subsequent month’s / quarter’s FORM GSTR-1. Company A has four units in Haryana, while filing their return for the month of July, they inadvertently, missed on details of a last minute order. The Company had filed their returns in order to not pay late fee and other penalties. What can they do? In this case, they may report this additional liability in the return of next month and pay tax with interest. Company B had reported an inter-State sale but realized that the same sale was counted twice and hence was not to be reported or taxed. But the return form was already filed and no change could be done to reduce the liabilities. What can company B do? In this case, they may reduce this liability in the return of subsequent months or claim refund of the same. Company C was registered in the State of Haryana. While entering their outward supplies in FORM GSTR-3B, the company realized that they had inadvertently, shown inter-State supply as intra-State supply and submitted the return. The company paid their wrong liability and filed their return in order to avoid late fee and penalty? What can they do? Since, the return has already been filed, then the company will have to report the inter-State supply in their next month’s liability and adjust their wrongly paid intra-State liability in the subsequent months returns or claim refund of the same. Company D, while filing their FORM GSTR – 3B for the month of July, inadvertently, misreported Input tax credit of Rs. 1,00,00,000/- as Rs. 10,00,000/-. They had filed their return and paid Rs. 90,00,000/- in cash. What can they do? Since, the return has already been filed, Company D may add such Input tax credit in their return for subsequent month(s). While filing their FORM GSTR 3B for the months of July, 2017, Company E inadvertently, reported their eligible input tax credit, as Rs. 20,00,000/- instead of Rs. 10,00,000/-. Company E also utilized their additional input tax credit and filed their returns. What can they do? Since, the company had utilized ineligible credit to offset such liabilities, the company will have to pay (through cash) / Reverse such over reported utilized input tax credit with interest. While filing their FORM GSTR 3B for the months of July, 2017, Company E inadvertently, reported their Central Tax credit of Rs. 20,00,000/- as Integrated tax credit. In order to avoid late fee and penalties, they paid Rs. 20,00,000/- Central Tax in cash and did not utilize their Integrated tax credit. What can they do? Since, the company has filed the returns and there is an unutilized Integrated tax credit of Rs. 20,00,000/- which was inadmissible to them, they will have to pay / reverse such credit in the return of subsequent month(s). Further, Central Tax credit of Rs. 20,00,000/- can be availed in return of subsequent month(s). While filing their FORM GSTR-3B return, Company F while generating payment challan added Rs. 5,00,000/- under the Central Tax head, while they wanted to deposit Rs. 5,00,000/- under the integrated tax head. What can they do? Since, they have already filed their challan, they will have to add Rs. 5,00,000/- in their integrated tax head and file their returns. Further, they may seek refund of Rs. 5,00,000/- from their cash ledger. Feedback/Suggestions are support@gstcornor.com or whatsapp at 8989077616. The information cited in this article has been drawn from various provision of The GST Acts, Rules, Circulars and other various sources. 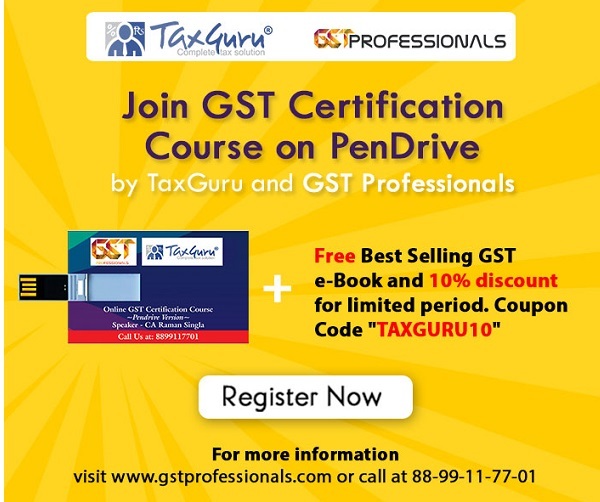 While every effort has been made to keep, the information cited in this article error free, team GST Cornor does not take the responsibility for any typographical or clerical error which may have crept in while compiling the information provided in this article. Such materials are for informational purposes only, and must not be taken, as legal advice on any particular set of facts or circumstances. We disclaim all liability in respect to actions taken or not taken based on any or all the contents of this article to the fullest extent permitted by law. Do not act or refrain from acting upon this information without seeking professional legal counsel. How to Extend the Validity Period of E-Way Bill? A company while filing gstr 3b, by oversight, has reported direct exports under exempted category than under zero category. The company is an 100% EOU. The company filed application. The concerned authorities are not processing the refund application because exports has been wrongly reported under exemption category. Can you please provide us a solution for the above problem.